We took the smartphone power you rely on in our hottest display and brought it to the next level with the Padrone Smart+. A full dot display, a couple of customizable data screens, arrow navigation, incline and lap functionality are just one of the vital new features included to make stronger your cycling experience. Track rides in Mirror Mode the use of your phone’s GPS or use directly with Bluetooth® Smart sensors. In either mode, quickly and easily upload ride data to CatEyeAtlasTM, StravaTM and TrainingPeaks TM when the ride is done. Social media, text, call and email alerts keep you connected without risk of phone damage or battery drain. The Padrone Smart+ offers you more of what you’ve come to love in a CatEye cycle computer. 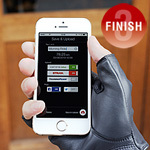 – Data from smartphone is sent to the Padrone Smart+ where you’ll view it. – GPS signal to the smartphone measures Speed and Altitude. 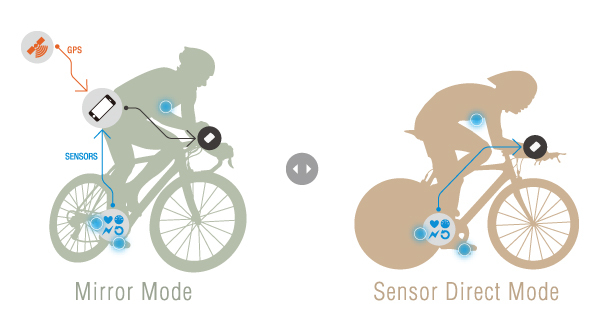 – Optional Bluetooth® SMART sensors record Speed, Cadence, Heart Rate and Power. – Displays Call/Email/Text/Social Media alerts on the cycle computer. Connect the Padrone Smart+ with your smartphone. The Padrone Smart+ can also be attached to the handlebar or stem. Set your smartphone into sleep mode, then put it in your pocket or a secure place and view the data on the Padrone Smart+. – When smartphone use isn’t an option, such as in a race, the Padrone Smart syncs with Speed, Cadence, Heart Rate and Power Bluetooth® SMART sensors. 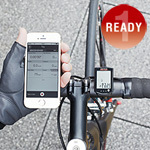 – Post-ride data is sent to your smartphone. ※ Bluetooth® Smart sensor required.